Chobe Safari – Why Travel to Chobe National Park? If there's one memory that you'll take away from a Chobe safari, it's that of elephants. About 120 000 live in and around Chobe National Park, and inconceivable numbers of these gentle giants can be seen crowding the banks of the Chobe River during Botswana’s dry season from about May to October. Chobe is also one of the best places in Africa to witness the most dramatic predator action – its Savuti region is where lions regularly clash with hyenas and powerful prides famously take down Africa’s biggest game like buffalo, giraffe and even elephants. Chobe National Park is about the size of Northern Ireland and a haven for the biggest elephant populations on the planet. A holiday in Chobe offers game drives and river cruises in an unspoilt environment that supports massive herds of not only elephant but also a multitude of buffalo that is unrivalled elsewhere in Africa. 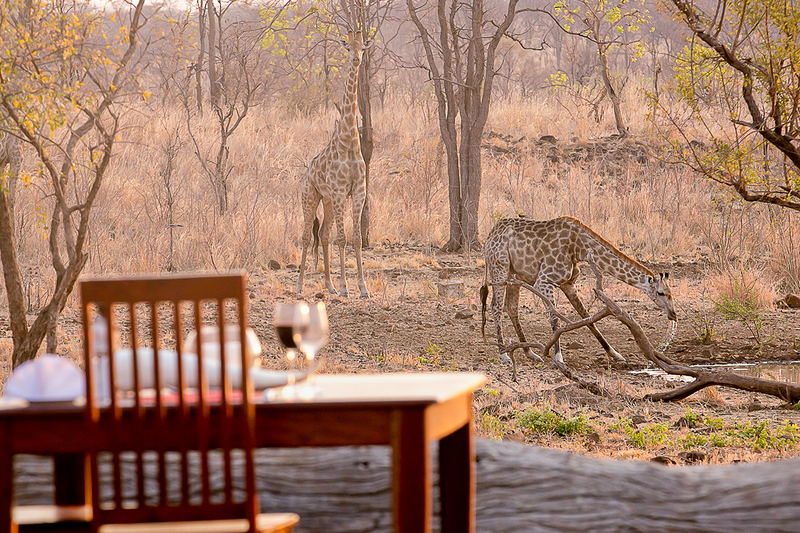 There is currently only one safari property inside the park’s popular north-eastern sector, Chobe Game Lodge. This fully ECO-certified, luxurious safari lodge is situated on the banks of the Chobe River and offers unique game viewing experiences with its fleet of electric 4x4 vehicles and solar-powered boats. Chobe National Park is Botswana’s most biologically diverse park. Close-up encounters with huge herds of elephant and buffalo. See predators like lion, wild dog, jackal, hyena and leopard. 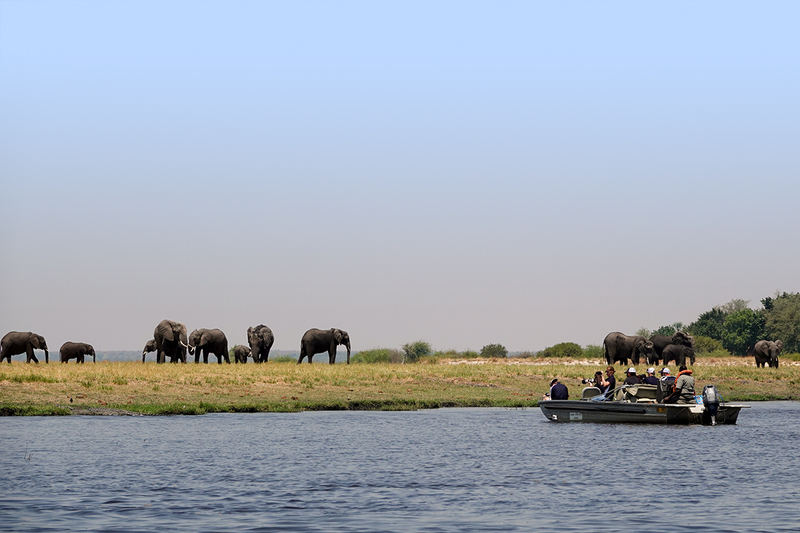 "Simply a Trip of a Lifetime"
During dry season, water-dependent animals (especially elephants, buffalo and predators) crowd the banks of the Chobe River. It is the scene for some of the best game viewing in Southern Africa and boat safaris offer awe-inspiring angles for wildlife photography. 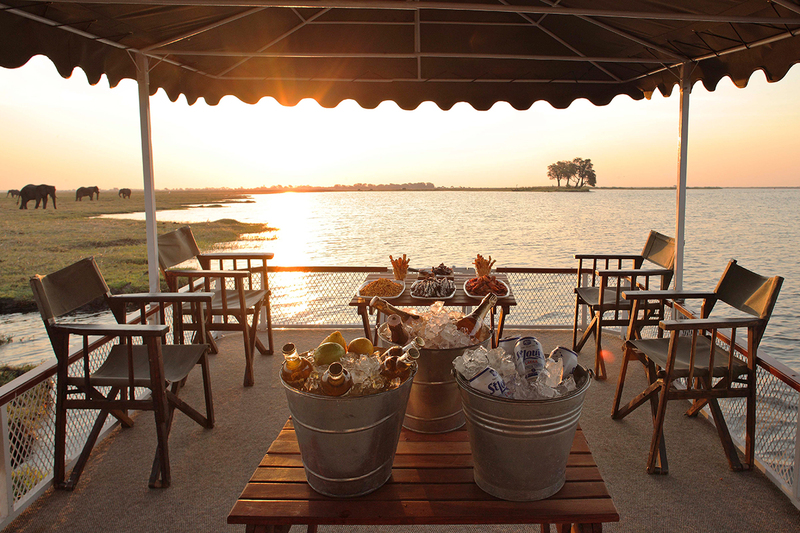 Throw in breath-taking sunrises and sunsets, excellent riverside lodges, romantic retreats or even luxurious house boats like the Chobe Princess or Zambezi Queen, and you have a safari experience that’s hard to beat. April to October: game concentrations around the river. Teeming with giant hippos and crocodiles year-round. One of the only places in Botswana to see rare puku antelope. Amazing year-round birding, phenomenal during a Green Season Safari. Chobe is a superb destination for birdwatchers (over 500 species) and photographers will adore the unique angles offered on boat safaris. Wildlife enthusiasts will love the density and diversity of animals in Chobe National Park, as well as the dramatic game viewing. It’s also a great destination for a family vacation, especially suited for families with children older than seven. Exclusivity seekers and safari aficionados should venture much further into the park’s Savuti region for picture-perfect accommodation away from the crowds. These lie on the ephemeral Savuti Channel, a mesmerising landscape dotted with ‘ghost trees’ and teeming with predators. Families with children: fantastic 4x4 game drives and river cruises. Keen photographers: unique angles from boats and some of the best, most close-up game viewing in Africa. Wildlife enthusiasts: raw and dramatic predator action in Savuti. Kasane International Airport is the gateway to Chobe (about a 10-minute drive from the national park’s gate) and served by flights from Johannesburg and Maun. Victoria Falls is only about 70 kilometres / 44 miles away, which makes it ideal for a day trip. Okavango Delta to see one of Nature's masterpieces and go on mokoro safaris. Central Kalahari, Nxai Pan and Makgadikgadi to see unique desert wildlife and thousands of zebras pass through, Africa’s longest mammal migration. Kruger National Park for sensational Big 5 game viewing. Cape Town, one of the top places in the world to visit. 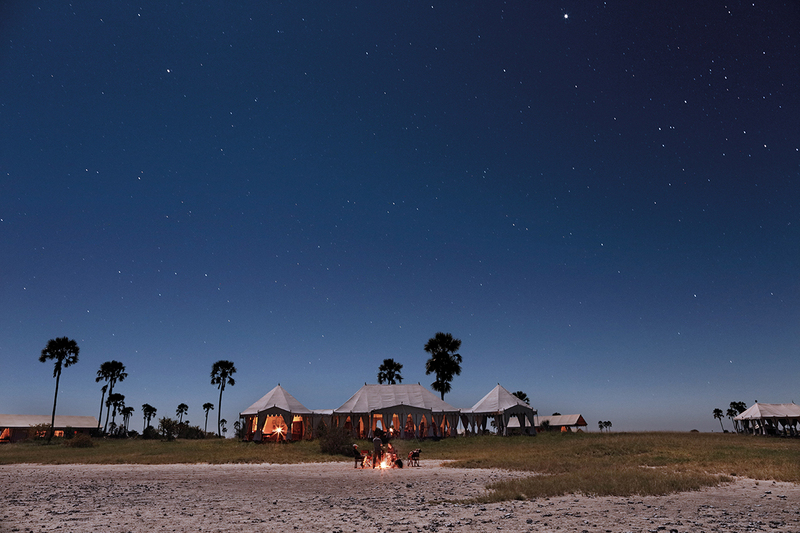 Mozambique for a superb bush-to-beach finale.